Comments: Roland S. Coad (Nee: ) | United States | 1901-1920 | Comments: Captured off ebay. The little boy is identified on the back as Roland S. Coad, son of George R. Coad. 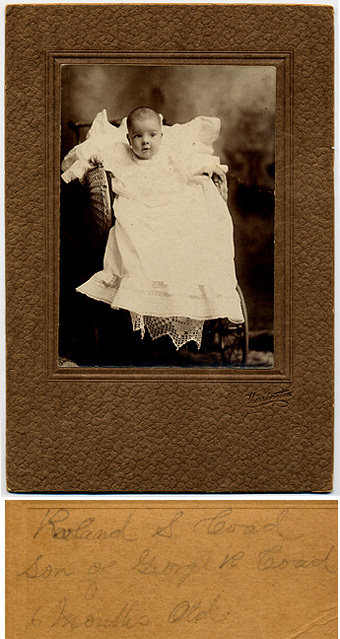 Photo was taken when Roland was 6 months old by Cherrington in Salem, Oregon, ca. 1910-14. No further info.